The world’s largest media company, Comcast, just acquired DreamWorks, the second best animated film studio in the world behind Pixar. Comcast’s NBCUniversal paid $3.8 billion for DreamWorks, the studio known for franchises “Shrek,” “Kung Fu Panda,” and “How to Train Your Dragon,” and winning 3 Academy Awards and 11 nominations. 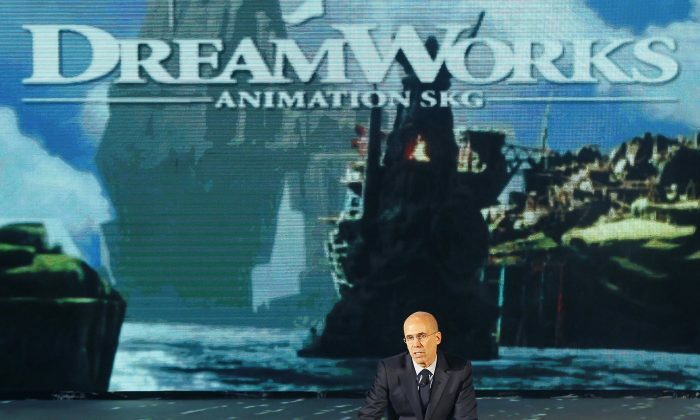 DreamWorks CEO Jeffrey Katzenberg is being moved out of the company’s main business, which may suggest a directional change for DreamWorks. Katzenberg has been a prominent figure in movie production since the late 1970s. NOVA is a technology company set up recently by DreamWorks and Awesomeness TV is a youth entertainment company (DreamWorks has a majority stake) with main share of business coming from its massive network of YouTube channels, mostly affiliates. That would mean Katzenberg will no longer be responsible for animated feature production. Burke talked about Illumination founder Chris Meledandri as a presumptive lead DreamWorks film production team. That would suggest Meledandri may lead DreamWorks film production in the future. With the change in leadership, it is not clear whether NBCUniversal plans to steer DreamWorks more in the direction of Illumination. Katzenberg can boast a thick stack of accomplishments. As part of Paramount Pictures, he played a major role in making the “Star Trek: The Motion Picture” in 1979—despite may production challenges. In 1994, he founded DreamWorks with Steven Spielberg and billionaire producer David Geffen. In 2007, he founded Illumination Entertainment with money from Comcast’s Universal Studios. His first released feature, “Despicable Me,” made over half a billion dollars worldwide. So what may give Meledandri the upper hand? Money. Meledandri has been consistently able make massive amounts of cash with half the budget of Katzenberg’s. Katzenberg consistently budgets his movies at about $130 to $160 million. Meledandri usually keeps the budget between $60 to $80 million. Critics may argue higher budget pays off in higher quality movies—pushing the boundaries of animation craft, instilling higher standards of artistry in the audience, attracting more talent to the industry. After all, Pixar, the almost stereotypical Oscar winner of the Best Animated Feature, now budgets its movies at $175 million to $200 million. It remains to be seen if Comcast plans to change DreamWorks or by how much. Both NBCUniversal and DreamWorks haven’t responded to requests for a comment.